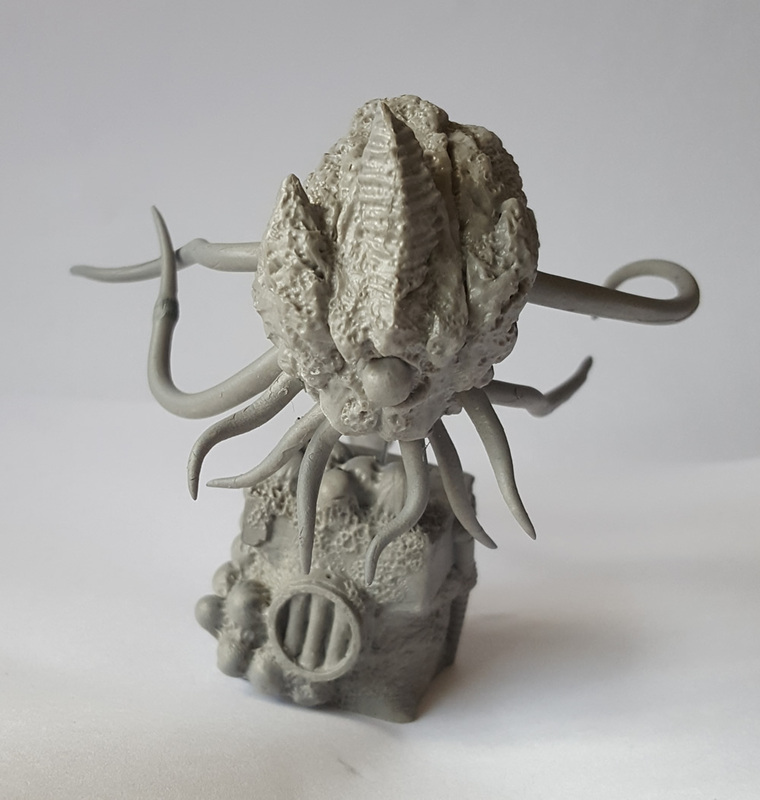 The Overlords range was built upon the pose-ability of resin tentacles. 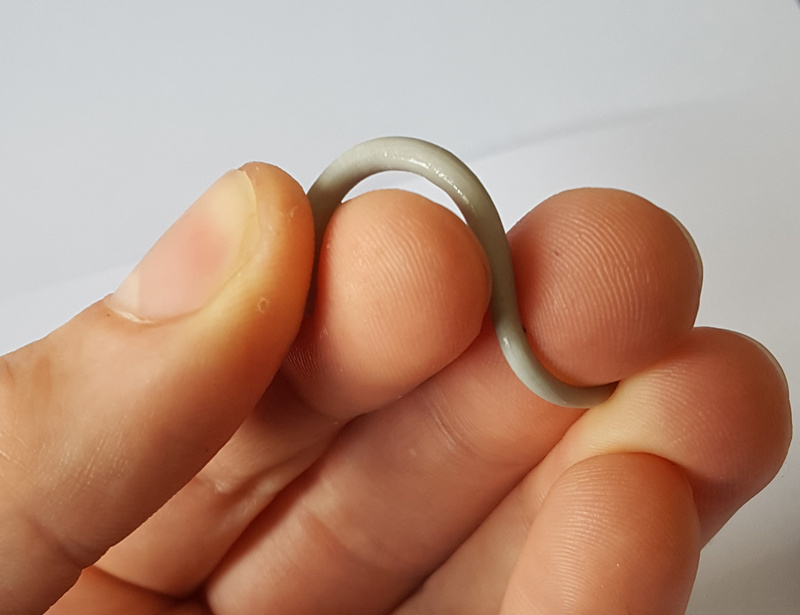 Applying heat (hot water or hair dryer) to our chosen resin material allows the item to be safely bent into new a shape, which it will hold once cooled. As such, a few straight tentacles can be bent into all sorts of dynamic poses and then be attached to the main body. Chucking all the tentacles into some hot water, they can be retrieved one at a time with tweezers and bent into a pose. 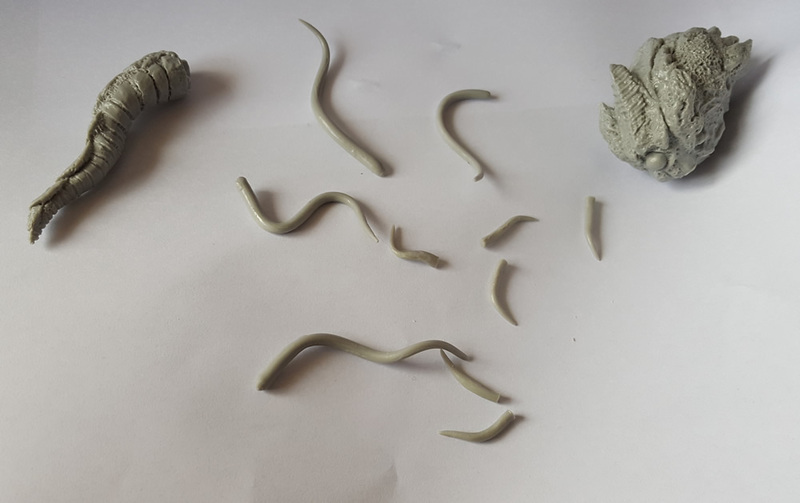 Hold the tentacle in place until it is cooled and it will keep the new pose (unless heated again). Repeat this for all tentacles. 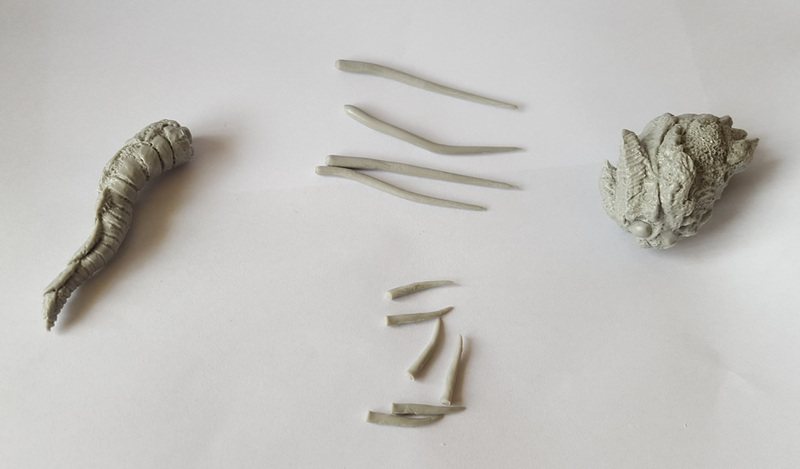 Then with a little putty and super glue, the tentacles can be attached to the sockets on the body. I was sent a few pictures from our caster, Hysterical Games, this week, showing the first spin of S&S characters. Since I’ve been negligent in posting on this blog, here’s a quick recap. 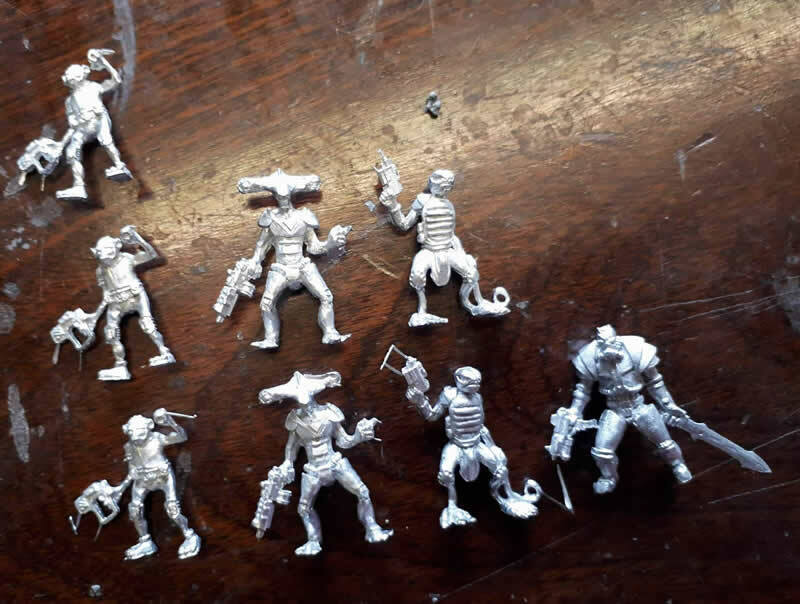 In January, KG ran a Kickstarter to put out a selection of character models for Stargrind under the project name of Scum & Smugglers. I like alliteration, so this has been a trend for project names. These models will soon be made available on the webstore, but only once I have allocated all required stock for the Kickstarter backers. 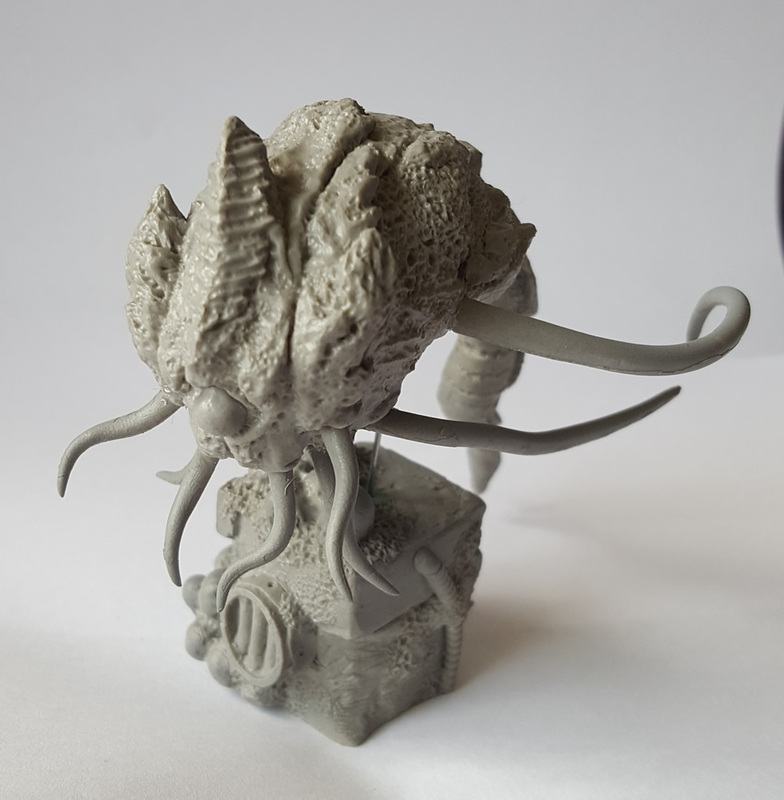 I won’t ever make models avilable for sale before backers are first sent theirs for pledges.